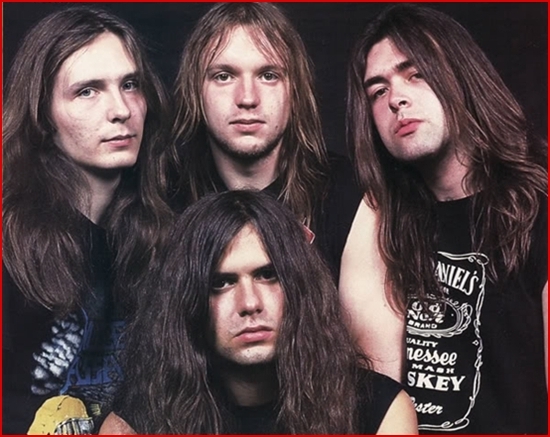 Formed in an Essen suburb in the early 1980s, Kreator is a German thrash band considered one of the most influential extreme metal acts of all time. Initially a speed metal outfit, the band would go on to develop the death metal genre, and then evolve it along with fellow German thrash outfits Destruction and Sodom. 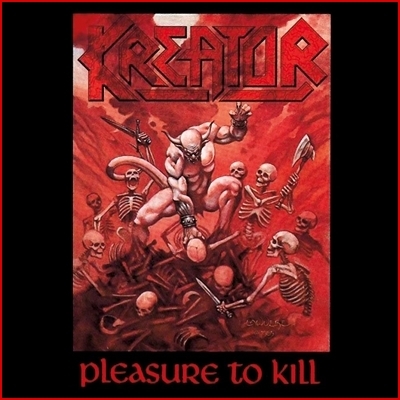 Kreator's 1986 classic, Pleasure to Kill, is widely thought of as one of the most important records in the history of extreme metal along with several other 1986 albums such as Metallica's Master of Puppets and Slayer's Reign In Blood. 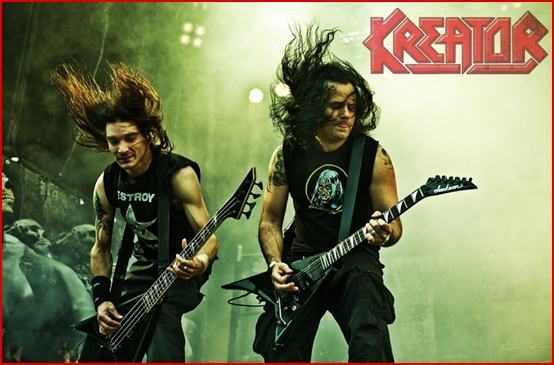 Since 1985, Kreator has released 13 full lengths and a pair of EPs, as well as a live album and three compilation sets. Kreator did not acheive the same commercial success as Metallica or Slayer, but you'd be hard pressed to find any extreme metal acts, particularly death metal bands, that don't cite Kreator as a major influence. 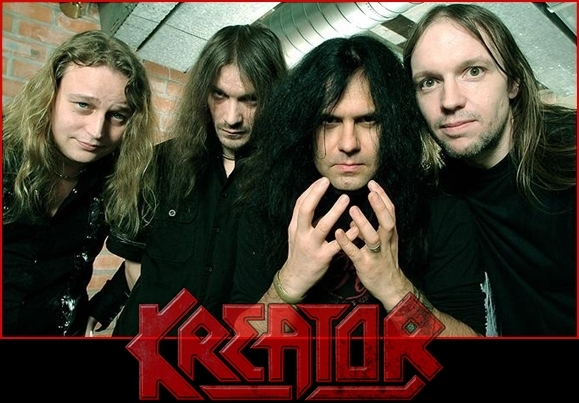 Kreator began as a 3-piece in 1982 in Altenessen, Germany, led by frontman Miland "Mille" Petrozza. With Petrozza on vocals and guitar, Rob Fioretti on bass and Jurgen "Ventor" Reil on drums; the band began practicing under the name Tyrant before changing the name to Tormentor. As Tormentor, the trio released a pair of demos, eventually landing a deal with Noise Records in 1985. Noise executives asked the band to change its name again, as there were already several bands using Tormentor. The band decided on a new name, and hit the studio to lay down the first Kreator record. The band spent just 10 days at Musiclab Studios in Berlin before emerging with their debut effort, Endless Pain, released in October, 1985. Endless Pain got instant attention from the rather sparse black metal scene, but also got noticed by the larger thrash metal crowd, as it contained elements from both genres. The band hired late Sodom guitarist Michael Wulf to handle rhythm for a handful of shows before hitting the studio again in early 1986. Titled Pleasure to Kill, Kreator's sophomore album hit stores in April of 1986, establishing the band as a major force on the exploding European extreme metal scene. Produced by Harris Johns, also known for his work with Helloween and VoiVod, Pleasure to Kill followed in the footsteps of its predecessor, with blazing-fast riffs and dark lyrics.  But the band's second effort consisted of more intricate songs with greater attention to technical details and well executed tempo changes. The album was embraced by fans of nearly every form of extreme metal, and even today earns Kreator a spot on numerous lists of the top metal albums of all time. On the heels of their second album, Kreator embarked on their first major tour, having only performed as a band five times before the album's release. A second guitarist, Jorg "Tritze" Trzebiatowski, was hired, and the band travelled across Europe, gaining new fans at every stop. After several months on the road, the band took a break in August to record their first EP. Still a relatively new label at the time, Noise liked for bands to release new material constantly, and Kreator had no problem humoring them. Recorded at the Phoenix Studio in Bochum, Germany, Flag of Hate included a re-recorded version of a track on Pleasure to Kill. Titled "Flag of Hate", the song had already become a popular choice at live shows, and still is today. The EP would prove to be Kreator's last effort as a trio, as Trzebiatowski was hired full time before the recording session for the next album began. Now a quartet, Kreator began work on its third studio album in the summer of 1987 at the Horus Studio in Hannover, Germany. Produced by Roy Rowland, Terrible Certainty dropped on September 22, 1987. The band released a video for the song "Toxic Trace", earning the band its first exposure to MTV. This led to a growing audience in the US, which led to Noise licensing future Kreator records to Epic, who would handle distribution in the US and other markets. Noise retained distribution rights in Europe and Japan. The final Kreator release issued only by Noise was Out of the Dark... Into the Light, an EP released in late 1988. Both Terrible Certainty and Out of the Light... expanded Kreator's popularity, especially in the US. With its popularity on the rise in the US, thanks in large part to a 1987 US tour with D.R.I., Kreator relocated to Los Angeles and began recording their fourth album in Los Angeles in early 1989. Helmed by Randy Burns, who produced the Megadeth classic Peace Sells... But Who's Buying?, Extreme Aggression hit stores on June 19, 1989. Videos were released for the title track and "Betrayer", each garnering heavy rotation on MTV's "Headbangers Ball" show. Later that year, Kreator's popularity got another boost when it was the focus of a documentary from German director Thomas Schadt. Titled Thrash Altenessen, the documentary explored the social aspects of heavy metal in the Ruhr area of Germany. The documentary did well in Europe and drove album sales. Guitarist Tritze left the band in late 1989, and was replaced by another former Sodom guitarist, Frank "Blackfire" Gosdzik. With their popularity at an all-time high, Kreator spent July and August of 1990 at El Dorado and Image Studios in Burbank, hard at work on album number five. Again produced by Randy Burns, Coma of Souls was released on November 6th of that year. Album sales were relatively on par with those for Extreme Agression, as MTV regularly played videos for "When the Sun Burns Red" and "People of the Lie". Some longtime Kreator fans considered the album sub-par, however, displeased with a shift toward more repetitive songs. The album would wind up as Kreator's last pure thrash effort of the millennium as they began adopting elements of industrial metal and combining them with their root black metal sound. Some Kreator fans consider this era an experimental phase the band went through, discounting all of the band's 1990s releases. The band's new sound reached a whole new audience, however as fans of Nine Inch Nails and Ministry took notice. The rise in popularity of grunge in the early 1990s occurred simultaneously with a decline in popularity of thrash metal. The bands that were able to thrive during this period, such as Metallica, Anthrax and Slayer, did so because they began shifting toward a more commercial sound. Kreator felt the push as well, and even had some fans accusing them of "selling out", though the direction they took was drastically less commercially driven than say, Metallica. The band shifted coasts to begin the "experimental" era, spending August and September, 1992 at Morrisound studios in Tampa. Kreator's first attempt at industrial-ish music was appropriately titled Renewal, and released on October 26. The album was a disappointment commercially, and led to the band being dropped by Epic. The band also lost founding bassist Rob Fioretti, who left the band before an exhaustive tour to spend more time with his family. He was replaced on the tour by Andreas Herz, though Herz would leave before another album was recorded. Kreator spent most of 1993 bringing its new sound to fans around the world. The reception was lukewarm at best, however, as it seemed the band's slower industrial songs didn't translate as well. At the end of the tour, drummer Reil left the band, leaving Petrozza as the lone original member. He was replaced by Joe Cangelosi, who held the position until 1996 when Reil returned. With the lineup complete, Petrozza & co. went back to work at Ocean Studios in Burbank. A new deal in place with BMG subsidiary GUN Records, the band dropped its seventh album in July 1995. Titled Cause for Conflict, the album continued with the industrial sound of Renewal, but utilized faster tempos, reintroducing a hint of their thrash roots. The result was a much harder album than Renewal, similar to what Pantera and Machine Head were doing at the time. Fans responded to the band's industrial revolution, as Cause for Conflict was the band's first effort to chart in multiple countries, including their first berth on the German charts. Following the success of Cause for Conflict, Kreator continued evolving their sound, releasing Outcast in 1997 and Endorama in 1999. 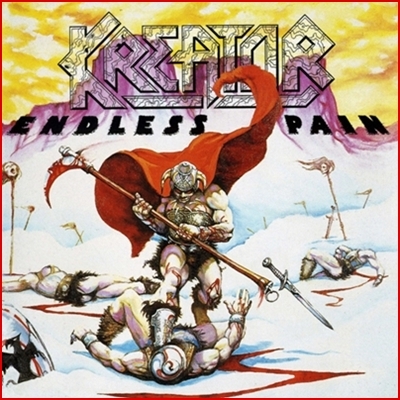 On both of these releases, Kreator used slower tempos and incorporated elements of gothic rock and ambient music, and Petrozza experimented with singing styles. Both albums charted in Germany, but failed to make much of an impact elsewhere. By the end of the millennium, however, Kreator was officially in a rut. Album sales had fallen off, and even the die-hard Kreator faithful were not showing up for shows. The band regrouped with new guitarist Sami Yli-Sirnio and hit the studio in February 2001 to lay down a tenth full length album. The album would be a return to form for the band, bringing to an end their so-called experimental era. The album would also mark Kreator's first on Steamhammer / SPV Records, who signed the band after they were dropped by GUN. Released on September 25, 2001, Violent Revolution was an instant hit with longtime Kreator fans, but also drew in a younger generation of metal fans. The effort landed at position 38 on Germany's Media Control Chart, making it their highest charting album yet. The band launched an extensive tour, recording a number of tracks to include on their first live album, realeased through Steamhammer in June 2003. The band continued touring until May 2004 when they hit the studio to lay down album number eleven. Titled Enemy of God, the effort hit store shelves on January 11, 2005. The record quickly became the band's biggest commercial success to date, charting in six different countries and reaching No. 19 in Germany. A video was released for "Impossible Brutality" and did fairly well on MTV. Following the success of Violent Revolution, Kreator went back out on the road, touring North America with Napalm Death and A Perfect Murder. The band continued touring until July 2008, when work began on a 12th Kreator record at Titonus Studios in Germany. Released on January 13, 2009, Hordes of Chaos continued on the momentum Kreator had generated with Enemy of God. The effort earned berths on nine charts, including a first-ever berth on the Billboard 200. The band continued playing live, making a North American trek with Exodus in the spring of 2009. The success of their previous two efforts caught the attention of Nuclear Blast, who signed the band in early 2010 as the band celebrated its 25th anniversary with a North American headlining tour. Afterward, they were added to the bill for Thrashfest, joining fellow thrash legends Exodus and Death Angel. With their popularity at an all-time high once again, Kreator released their 13th studio album, Phantom Antichrist, in June 2012. The album improved on the success of its predecessors, charting in eleven countries and reaching the top five in Germany. A video was released for "Civilation Collapse" in November 2012, boosting sales even more. The band has been actively touring since and has been working on a 14th album, expected to be released some time in 2015. Their place in thrash history already established, Kreator continues to be one of the hardest working bands in the world. A member of Germany's Big 3 of thrash, along with Sodom and Destruction, Kreator is also considered by many thrash purists to be one of the 10 most important bands in the history of extreme metal music.